I am a mostly grateful mother when it comes to mealtime. My daughter eats pretty much constantly. And she enjoys things like raw peppers, sushi, shellfish, Indian food, hummus, and edamame. I wish I had better photos, but that’s what usually comes of nighttime and dinnertime. I was happy I had zucchini left after all the raw zucchini she stole off the cutting board. Reminds me of me and my poor mother peeling and chopping potatoes. One for the pot, three for me. I peeled the zucchini in long strips with a vegetable peeler. I heated 1T of butter and 1T of oil in a skillet with nearly a whole clove of garlic (you could use more, of course). Then I added the zucchini strips, salt, and pepper. I cooked it for about a minute. It was out. of. this. world. My kid begged for more, and was disappointed when I told her we were out. 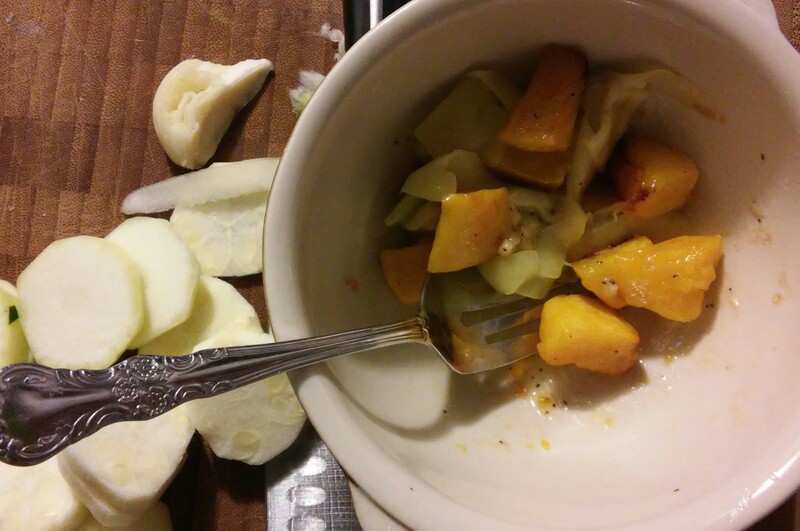 I also roasted the butternut squash, after peeling and chopping, tossing in oil, with salt and pepper. 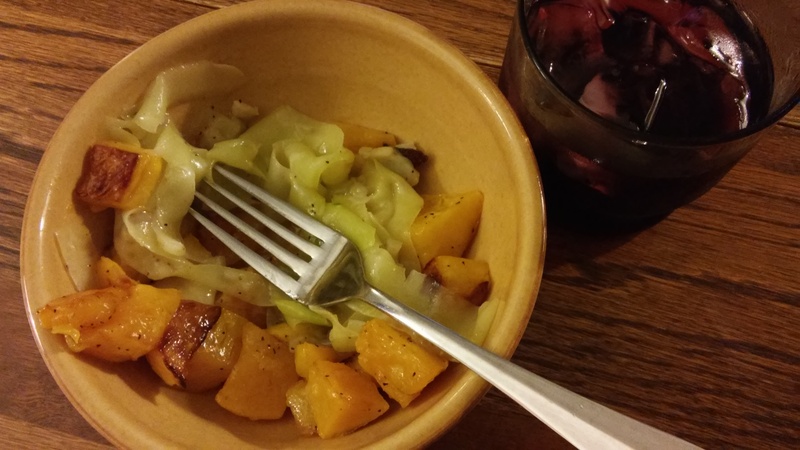 I have to say, I think butternut squash has become my favorite vegetable. I melts in your mouth, and has such an amazing flavor, which is such a great reward considering all the work you have to get into the darn thing and on to the baking sheet. This is going to be a recurring theme for the rest of the summer.